I printed up this freely downloadable 3D printable tesla wall charger holder to hold the Tesla Mobile charger plug. And yeah, the sheetrock has seen better days... it's on my list of things to fix one of these days. So you can buy these sorts of things for $25 on Amazon, but there's something cool about making it yourself. I'm pleased with how it looks and how it works and it fit the spot on my wall perfectly and the Amazon ones were going to be too big. I am using the Tesla Mobile charger that came with my Model 3 and I have the NEMA 14-50 installed in the ceiling and then I have the cable hanging down. My local public library printed it for $6. Note that it needs to be scaled to 107% or so because the author made it slightly too small. So if you print it yourself then scale it up by 107% before slicing it, or if you are paying someone else to make it make sure to tell them. Thread title updated to be a bit more accurate. I printed out a couple holders for possible future use with the Mobile Connector. I like that blue! Tesla red might be cool as well! There is a 3D ptintable UMC holder as well. I called everywhere locally to find someone to print it for me, but I couldn't local a 3D printer so I had to pay ThingVerse to print it and mail it to me. Anyone willing to print up this holder for me too? Pretty please? Oh I want that! We should confirm first that the gen1 UMC is the same size as the gen2. A lot of local libraries have 3D printers now for use. Otherwise, you may be able to find a student at a local college that can print it for you. Thanks. I went back to change it right after I posted and I couldn't see a way to change the title. Is that something users can change or is it just a mod thing? My printer is still under construction or else I'd volunteer. For now I've been using my public library - who are amazing. Just make sure that you specifically tell whomever is printing it to scale it by 107% or else it will be too small. Yeah, you can edit the titles of your own posts. There's an "Edit Title" link hidden under the "Thread Tools" menu located at the top of each page on the right-hand side. Thanks everyone. I’ve tried my local library, Staples and everywhere else around me I can think of. No luck so far. Just buy a 3D printer. They're not very expensive anymore. 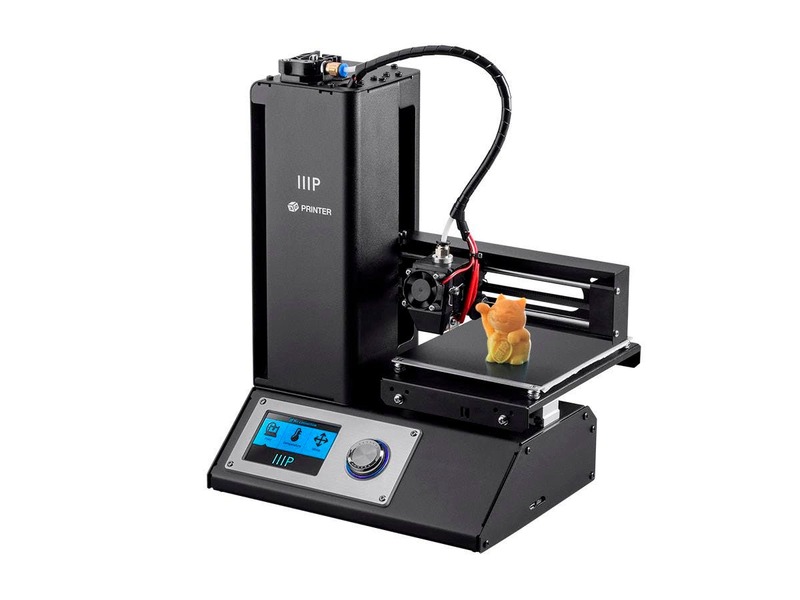 MP Select Mini 3D Printer V2, $179.99 + free shipping in the U.S.
You could use 3D Hubs - which is vaguely Uber-meets-3D printing. You pay someone local to make it and then drive and pick it up. Those are very nice designs. It is a two piece design with a bracket to hide the screws. Also the cord receptacle is designed around two axis - one for inserting the cord, and one for resting it. Makes for a smoother insertion and removal process. Nice design. I like the slide. That's great looking semi-transparent filament too - which is that? I'd be happy to print something for someone. Just need you to cover costs (shipping, PLA). Not too many requests because these things take all day to print so I could quickly be in production hell.